After a good friend’s suggestion to visit The Lokal I knew I had to try it. Seems she was right on target! As we turned the corner to walk towards the restaurant all we saw were patrons outside waiting for their table and a bustling crowd inside. We quickly put our names down and they kindly took down our phone number and told us they would call/text when the table was ready. In the meantime, we walked to Mr. Moe’s and enjoyed a trip down memory lane while we sipped a quick refreshment. A quick 15-20 minutes later our table was ready! I really liked this place and want to go back to try more! They have fun and inventive burgers, a lengthy list of beers, and other specialty dishes. The burgers are all made with grass-fed free range cattle from Florida. 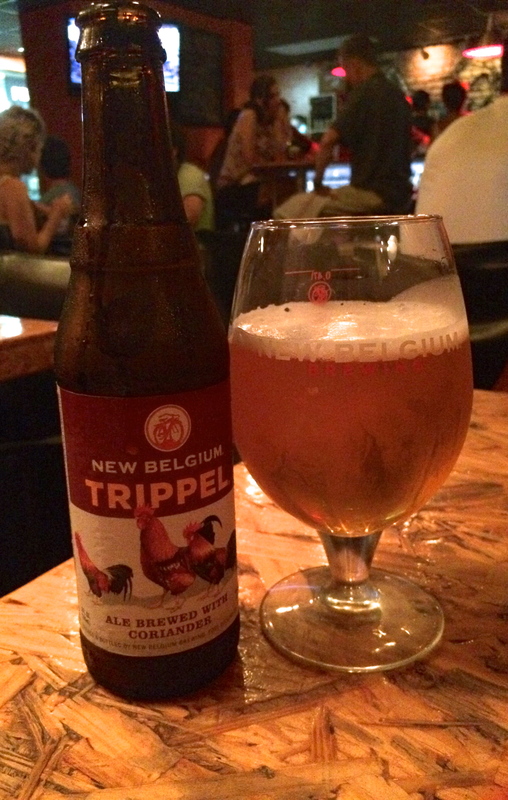 I actually loved this beer and I’m not usually a beer drinker! I ordered the chicken and waffles. DELICIOUS! It had a couple of hearty pieces of tender chicken fried with a tasty batter. You could tell they crafted a great batter recipe. The Belgian waffles were perfect, crispy and light and sprinkled with powdered sugar. Now, the sauce was the interesting part. The homemade maple syrup contained sriracha sauce. So it was definitely spicy and sweet. But be careful you may want to test it on a piece before drizzling it on your whole plate! 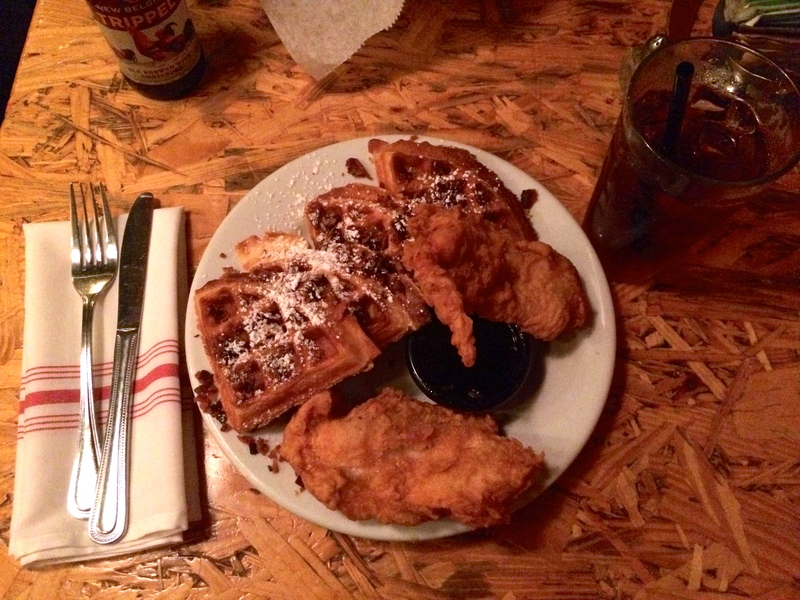 The chicken and waffles were accompanied by chopped bacon which added smokiness to the spicy, sweet dish (thumbs up). 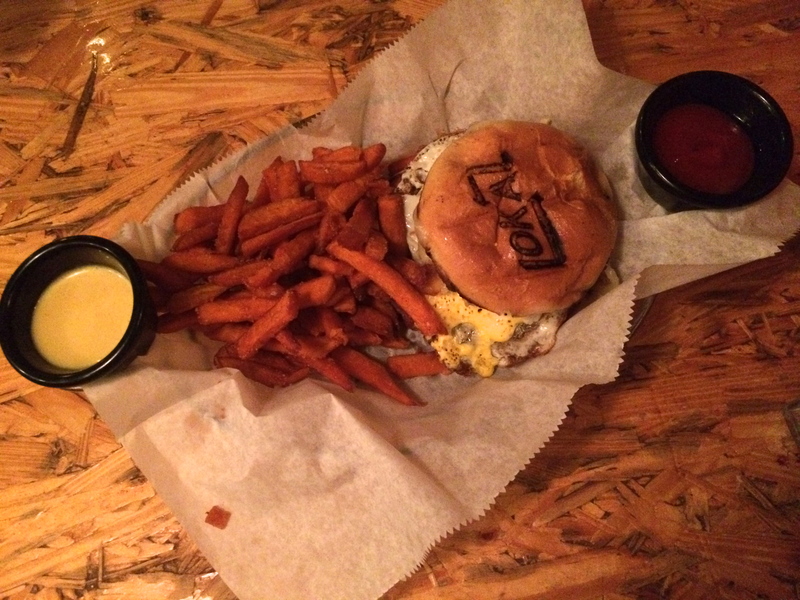 My other half ordered the Frita by Kush burger and added a fried egg to it (always a good idea ;)). I was lucky to sneak just one tiny bite but it was soooo good, that’s what I want to go back for! The Frita by Kush burger has an amazing savory and sweet theme since it’s topped with guava jelly, melted gruyere, potato sticks and bacon. 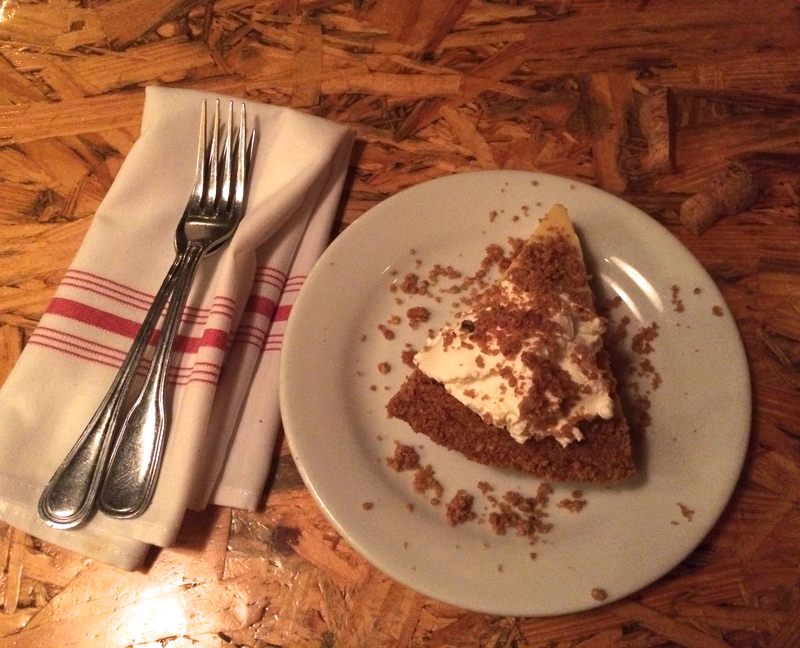 Lastly, we indulged in their key lime pie. And it was definitely an indulgence. Their key lime pie is made daily and the waitress boasted that it was “the best” key lime pie ever made. It was definitely delicious and a must if you saved room for dessert. It had the largest crust I’ve ever seen on a key lime pie!